Mother's Day is soon approaching and I am too excited because it will be my first mother's day as a mum myself. BabyN' turned one few months ago so he is still too small to surprise me with anything. But shhh! I am myself trying to make the Mother's Day special for our family. Have already ordered a card on his behalf and it should be in the post soon! Yayyy! Read more for Mother's Day Inspiration, Gift Ideas and a Freebie*. To make your life easier, I thought of creating an inspiration for Mother's Day for you. I know how hard it is when we go on a shopping spree or start brainstorming to come up with ideas to buy something special for our mothers. 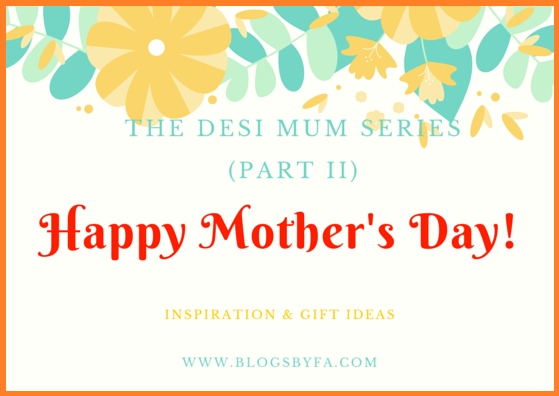 Some of you might have already read the previous post of "The Desi Mum Series - Breakfast Made by Mum With Love," in which I had already mentioned a few things that will make your mum happy, but in this post, I am going to give you some more inspirational ideas. Mothers shower their love on us all the time and now myself being a mother, I realize how hard it is give birth and to nurture the children. So now on their day, it's time for us to repay, which of course we really can't but why not try to bring a smile on their face. This one is especially for new mums. Everyone needs some me-time. It would be great if the father can take care of the baby for some time (not minutes, but a few hours) and let the mother do whatever she feels like doing. 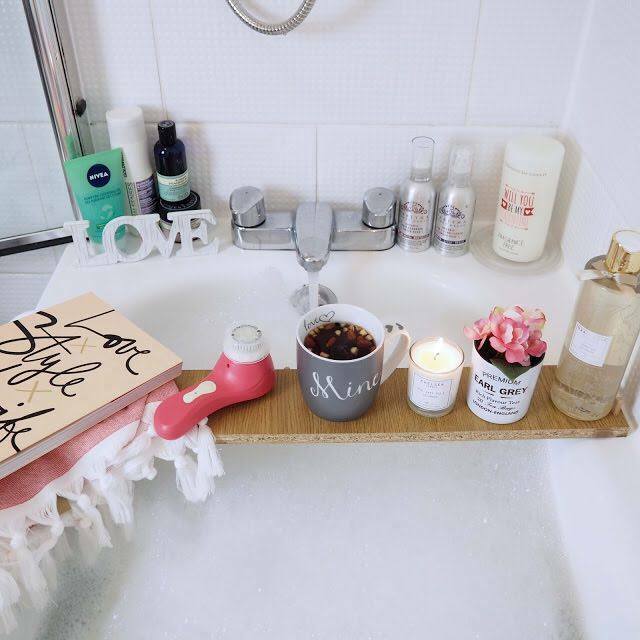 A warm bath with scented candles burning on a bath caddy, some soft music playing around and a bath bomb are all what is needed for this. I personally love vanilla but there are many other scents available in stores too and though bath bombs were originally created by Lush, there are many other brands that sell them too. Just make sure to read the instructions and use them properly or they would leave your body coloured. A Mini Home Spa - Perfect for Mum! One hour Swedish massage at a luxury spa would also be a great idea. It is so relaxing and an amazing experience. For those who are in Dubai, I would highly recommend ShuiQi Spa in Atlantis the Palm. Although they are expensive, the experience is worth. I loved being there! However, there are also some other reasonable offers available as well that you may easily find on cobone.com and groupon.ae websites respectively. If you want any other recommendations, feel free to leave your comments and I will reply at the earliest. A luxury dining experience that your mother will love! Check out for the local deals, there are many restaurants that are offering special meals on this special day. So already talked about experiences, coming to presents now! I prefer personalized gifts, they just make me feel so special. It can be anything, just a card or a present such as an apron, a mug or a piece of jewellery. I even came across a company that is personalizing marshmallows. 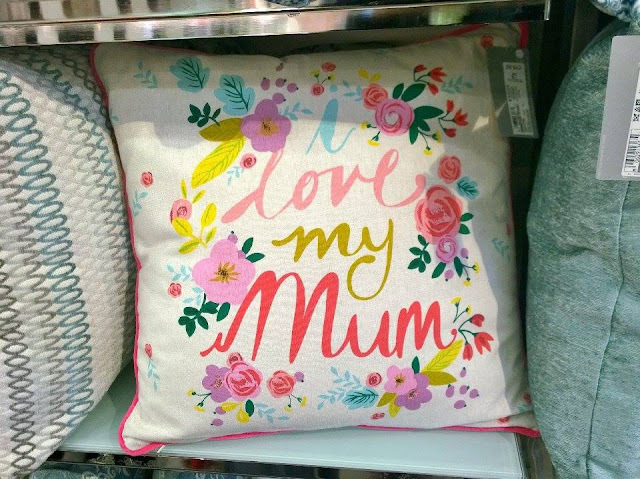 Personalize it, your mom will feel special too! 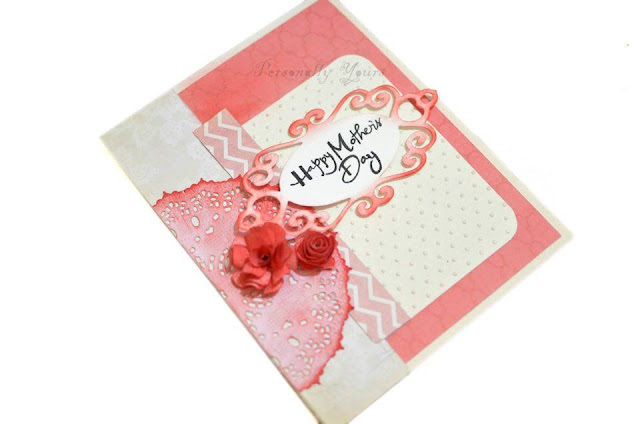 I am sure you must be waiting for the freebie and are certainly interested in a FREE Mother's Day Card. Snapfish is giving free cards worth £4.89 with free postage. Simply login to your account (or create one if you don't have it already), when asked where you have seen the offer, mention Daily Express. Continue, select and personalize your card, the code will be applied once you reach the billing page. I have ordered mine already and have also received an email that it's in the post. 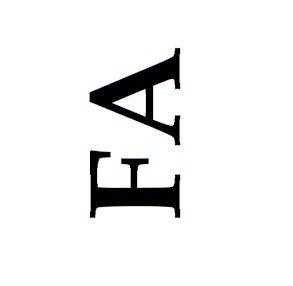 I will post the picture once it arrives in my mailbox. P.S. Valid for UK residents only, does not work on mobile devices and is subject to availability. Recently, I've also come across Rebateszone, a US based website that provides working coupon codes. These codes are not just tested and verified each day but they also guarantee to save your money on orders from thousands of well-known online stores, thus enabling you to save up to 30% on the orders. 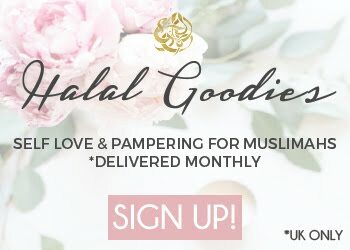 So if you wish to order presents or even to buy something for yourself, you can check out their website too! They have 24 categories available currently, so I'm sure there would be something of your interest. What plans do you have for Mother's Day? Any surprises, presents or treat ideas that you have in mind? Awww, I just love these beautiful gift ideas. That mug is so pretty! These are great ideas for mother's day! I need to think of something I can send my mother from abroad, thanks for the inspiration! Thank you for this post. Although my mother passed away, I can use these ideas for my grandmother. I think mom would love the bath idea! she like baths. She is also in love with fragrances as well! if only she allow me to give her in mothers day hah!! but I can save the idea for other days like Eid. The Mini home spa sounds like such a great idea. Sometimes I prefer to pamper myself instead of going out somewhere - I just like the privacy of it all! Yeah! The privacy of being pampered in our own home has another flavour of enjoyment. What wonderful post ideas our mothers day has already gone it was earlier this month when is yours? Yeah! In UK it has already gone, was on March 6th but it is yet to be celebrated in the US and some other countries i.e. 2nd Sunday of May :-) Thought the post would be useful for them. 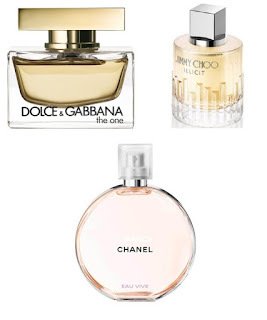 Some lovely ideas :) I feel like perfume is always a good one for mums - you can't really go wrong! O wow! Please wish your mum a very happy birthday from my side. May she live a long and healthy life. 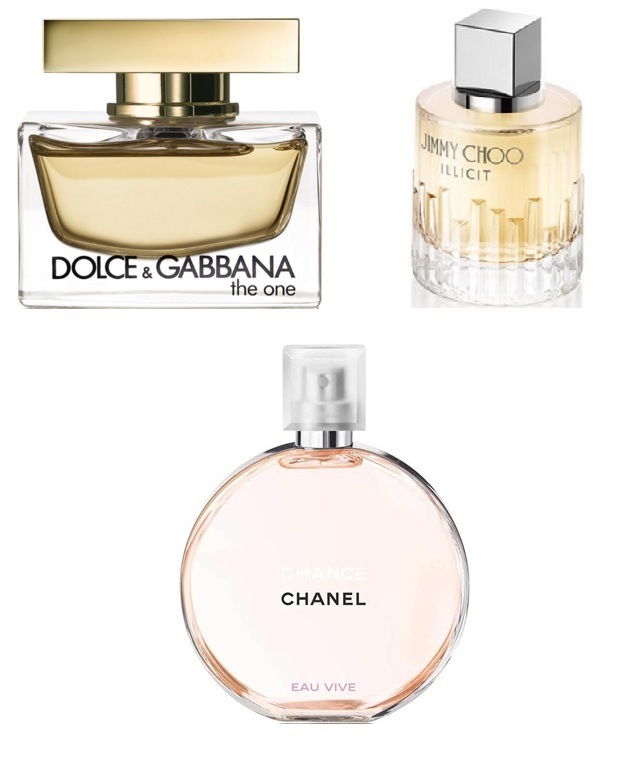 You can't go wrong with a nice perfume, especially the Chanel Chance. I have it and it smells really nice, perfect for spring. I love the fragrance too! My husband gifted it to my mother in law and she loves it. 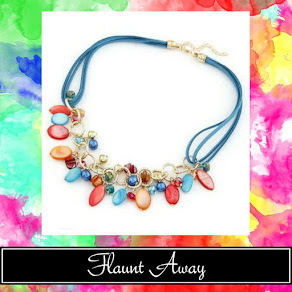 These are all great ideas that could turn into lovely gift. The perfume by far is my favourite gift. My favourite too! I just love the fragrance. It would be great to welcome you back. It has already been celebrated in the UK. When is yours? Might just send this post to my kids who for some reason have forgotten Mothers Day two years in a row - then last year got me a pair of gardening gloves and two packets of seeds for my garden - they split the cost which was a grand total of $2.00 each. Now if my kids were small, this would be totally understandable but they are 21 and 22. They don't understand the significance of Mothers Day. As I told them - I give to you guys all through the year - it is nice to know that one day out of 365, I get made to feel special and it really hurt me that they didn't think of me or that they felt I was only worth $2.00. We will see what happens this year. It isn't about the money - it is about just being made to feel like you count. Enjoy your first Mothers Day.